Robert Royou Beard was born in Bermondsey, London. His family were in the wine trade, but the young Robert became apprenticed to Oakley's, a firm of brass-finishers, who were involved in the manufacture of magic lanterns. He invented an automatic regulator for high-pressure oxygen cylinders, a necessity for lantern illuminants, and in 1882 set up his own company, R.R. Beard Ltd., to manufacture it. His next most successful invention was the Eclipse slide carrier, which made magic lantern operation easier, and gave a primitive mix on the screen. 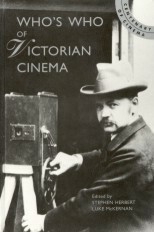 Beard had a practical interest in cinematography from its first appearance in England. In 1946 his son Percy recalled being taken to see the 1896 Lumière Cinématographe show at the Regent Street Polytechnic. Very soon afterwards the Beard Cinematograph (with Maltese cross intermittent) appeared on the market, and Beard projectors were produced well into the next century. The company eventually specialised in making lighting for the cinematograph industry, and continues to trade as Photon Beard (following amalgamation with Photon Lighting Ltd in 1990), producing low energy lighting for the film and televsion industries.